It has been seen whenever Jupiter and Saturn closely or loosely conjugate with sun around 10 to 20 degrees in any sign high amount of solar activities in surface area of the sun usually increases for whole month. Such solar activities also been noticed during Lunar and Solar eclipses too but depends on eclipse type, Half or full or partial etc. During these combustion or conjugation periods ” Black Dark shaft “ in Solar disc usually been observed with different different shapes and sizes in addition increasing amount of temperature and heat also been noticed in earth atmosphere too. Last Month (After 17th of August sun ingresses on Leo) when Sun was closely Conjugated with Jupiter in the Leo sign, in a close combustion state of orbital distance of 9 degree opp to earth – ” Tamasa kilakas or Sunspot ” appeared in the Sun. 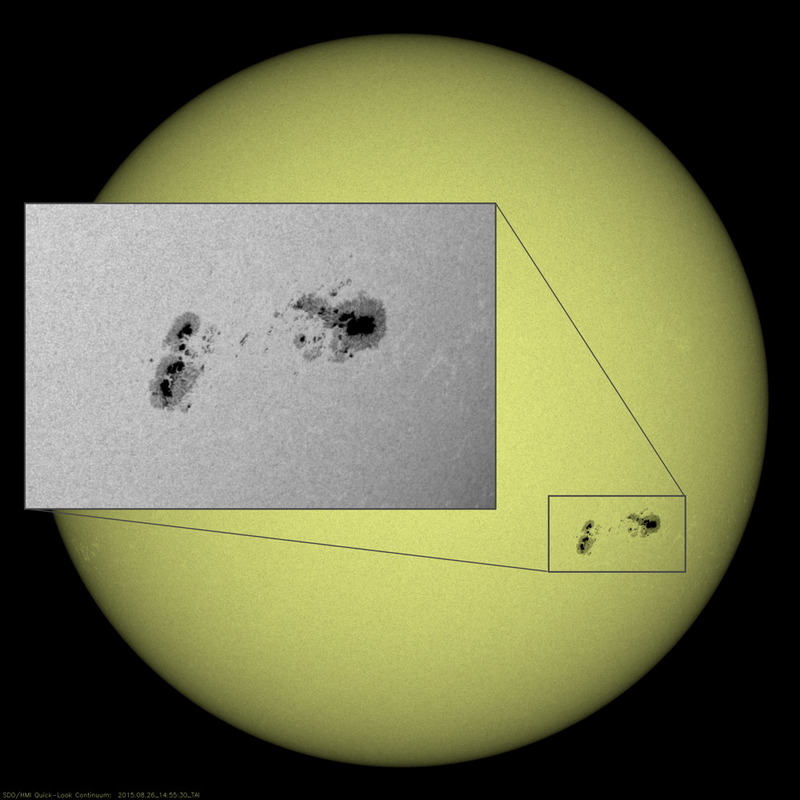 In august 2015 two sun spots were noticed with rod and key like shape. 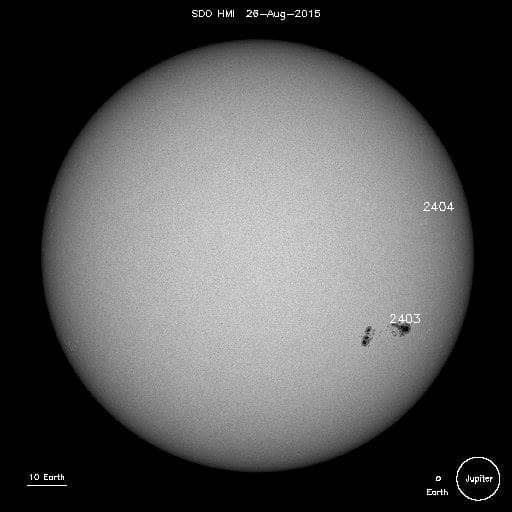 During these sunspot phases major break in power (Electricity) and satellite Communication channels usually observes. 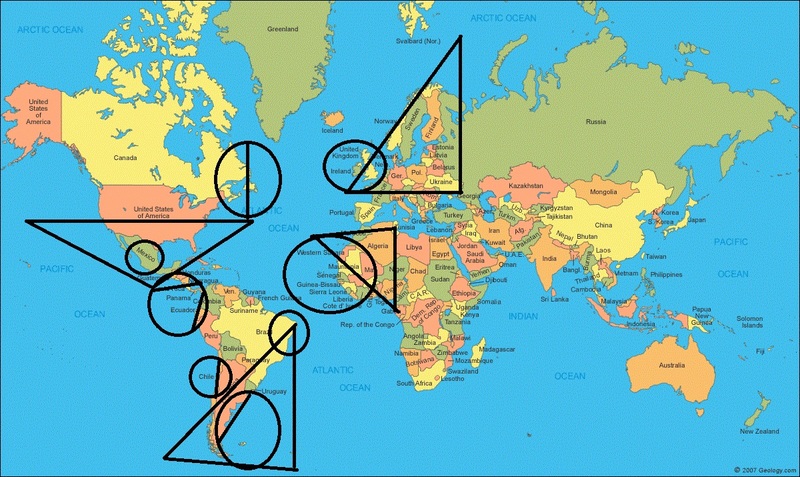 Regions, those closer to the line of Cancer. Even rise of temperature in atmospheres also been noticed after these dark shafts. It has been further noticed during these dark shafts raining clouds usually unable to shower rain and weather behaves strange and also raises possibilities of earthquakes in those areas where-ever these sunspots appears geographically. (Brihat Samhita, Adityachar) . After last Lunar eclipse on 28th of September reported by NASA and Space.com a solar flare caused a blackout in low-frequency radio communications over South America and the Atlantic Ocean, with weaker effects farther out.According to NASA, sunspot may prompt more solar flares in near future. Current Sunspot impact was on Atlantic Ocean. 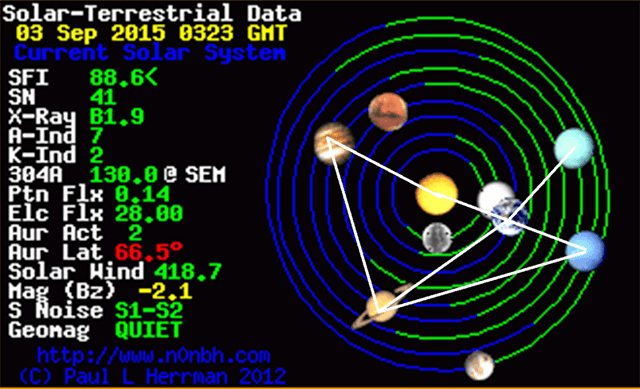 As per last Last Analysis done on September 3rd 2015, close planetary alignments moving up toward earth soon after eclipses. This time Earth will fall in between Neptune, Uranus and Jupiter, with an angle of Square to Saturn. Mars and Venus were already preparing for further joining hands with this alignment in Leo.This time alignment is happening in the Fire circle (“Agni Mandala ” – having Yojana (1 yojana = 8 Miles) distance of 110 = 8 x 110= 880 Miles = 1416.22 Km ), shows Leo-Aquarius could be the point of epic centre (Poorva phalguni Nakashtra, Nakashtra lord – Sun, Vedic day Sunday). 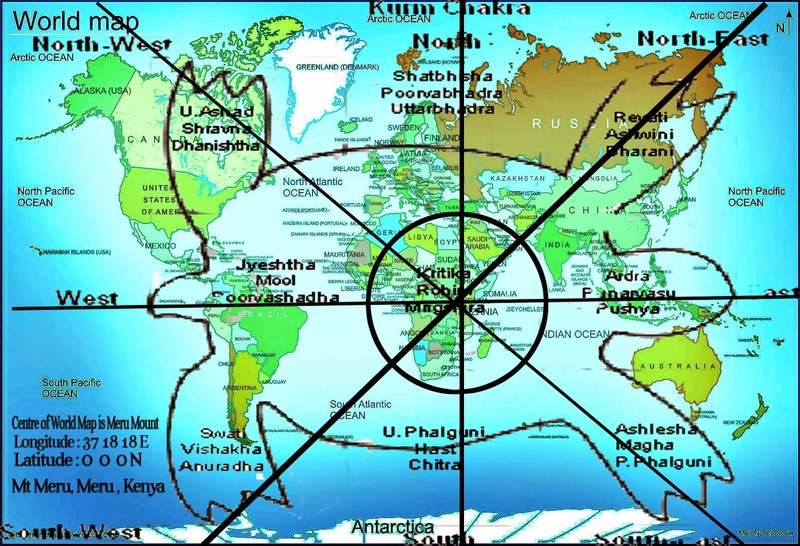 As per world (Prithvi) Koorma chakara, Leo usually indicates those areas where temperature is too high or where people living near dry lands or very close to sea/oceans, indicates those areas when sun usually at Zenith Point (around 12 – 3 Pm) i.e western Part of African regions, South West region close to Indian ocean i.e West south Africa, South and North Atlantic Oceans where possibility of next Partial Solar eclipse going to be visible. Coming Total lunar eclipse on 27th-28th of September will be visible in most of North America, South America, Europe, west Asia and parts of Africa will be able to see the eclipse. 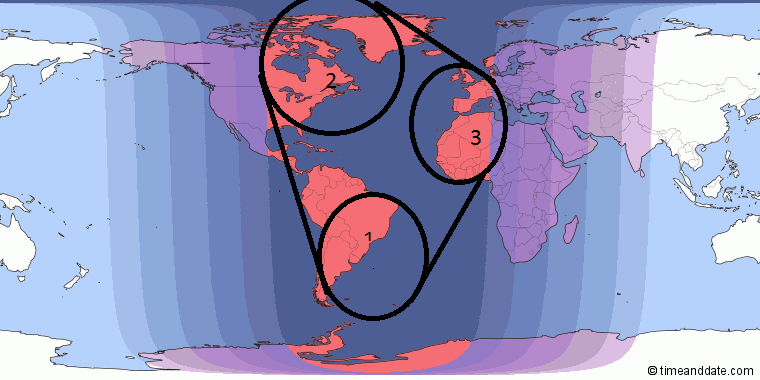 In Sum total, as per observation based on current alignments, there could be possibility of seismic activity soon after both the two eclipses going to happen in September month most probably, after Next full moon (1st fortnight) day, after last blood lunar eclipse of 27/28th September or within next 2 fortnights soon after last eclipse. Fire circle(Agni Mandala) usually bring seismic activity around two fortnights soon after eclipse within the range of 110 Yojana of distance, approximately around about 1500 km from the epic centre. Based on the Brihat Samhita facts and research done by our Seers, Eclipses effects usually observed up-to next 6 months from the date of an event.But Indra (Electrostatic Current) and Varun (Water) Circles eclipses are so frequent to give result within a week or in a day. Based on current eclipses pattern and upcoming alignment in fire and Air circle, there would be Stronger probability of seismic activity seen around October 13 to October 20. This would be high time of stronger seismic activities around Shukala Saptami, based on lunar calendar system (Around 18th (Shasthi), 19th (Saptami) and 20th (Ashtami) of October). Last Partial solar eclipse was occurred on 13th September 2015 and coming Total lunar eclipse will occur on 27th/28th of September 2015, in Virgo (Uttra Phalguni Nakashtra – Wind Circle) and Pisces (Uttra-Bhadra Nakashtra – Varun Circle) signs. 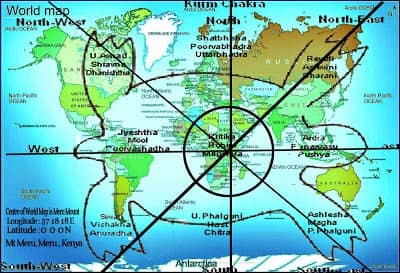 Both the Eclipses are occurring in Virgo-Pisces Axis, effecting South and North Atlantic Oceans – Ruled by Scorpio (Saturn) and Virgo Sign (Uttra -Phalguni Nakashtra) where Majority of planets are currently transiting Here (i.e Sun, North Node and Mercury). There would be stronger possibility of Earthquake like activities, Sudden changes in weather in those regions can be experience, where people are living near hills and mountains or those who are living near vast oceans or lying close to rivers. Slight warning of cyclones or tsunami like situation can come across in these areas (i.e West of Africa, Chili, Mexico, Part of Canada close to north Atlantic ocean, North of America, Panama, Ecuador,Brazil, Uruguay,Argentina, Algeria,Liberia,Sierra leone, California etc after 28th of September, as marked in circles) based on recent Prithvi Koorma Chakra analysis. Below mentioned Marked circles and triangles will better help to understand countries or places were mostly effected by 28th of Lunar eclipse and where we can expect next mundane events. For Detailed Analysis on Impact of Blood Moons, Members can go through my last complete research article on series of 4 Blood Moons eclipses. Based on current Alignment, Chances of more stronger activity can be seen after 28th of September 2015, approximately around 13th to 20th of October 2015 as explained above. As, 2nd eclipse is yet to come and assumed to be more powerful than this, reason being eclipse is going to happen in Virgo-Pisces Axis and this eclipse is happen in one of rare Super-moon falling on Sunday after 1982 .This lunar eclipse combination is occurring first time in 30 years. Usually super moon, comes around once every year, appear 14% larger in diameter and 30% brighter in the sky.This super moon is happening exactly after Ganesh Chaturthi and one of last series of Blood Moon Lunar eclipse started on 2014. In this lunar eclipse Sky will turn into reddish appearance as a result of the Moon passing directly behind the Earth.Important Point is this eclipse is happening in ruling Sign of India, Falling in Lagana of Israel, and Majorly effecting South and North Atlantic Oceans. As result of Last Partial Eclipse on 13th of September 2015 we have already Seen Huge Earthquake triggered on September 16, 2015 with massive magnitude of 8.3 triggered in Illapel, Chile. Blood moon eclipse happening on this super moon too has major significance in Mundane Astrology, as it is triggering near Atlantic ocean, ruling under Scorpio sign (Western countries) falling trine (Pisces is in 5th form it) from it. Clearly telling me areas under these regions will be mainly under strong gravitational force of Mercury, Moon and Sun soon after both the eclipses. Currently North Node is conjugated in Uttra-Phalguni Star with Sun and Mercury near Virgo – Ruled by Major Part of Africa – indicating those regions where issues or problems could crop up soon after this. During this event Both Mercury and Moon will be in opposite signs to each other, another strong clue for earthquakes like activities and Sudden changes in weather conditions i.e cyclones near coastal areas of Africa, Mexico,Panama, Argentina, Brazil, chili and America etc. Scorpio and Virgo rules most areas of Chili, US, Canada and some portion of Africa. Another factor clearly shows its the high time for revolution in diplomatic strategies in Western countries for unification of join Ventures against terrorism soon after October 2015 and most probability of these ventures could be seen after January and February 2016. I hope people now able to understand more on these unusual alignments occurring after eclipses based on mundane research. This shows how important is Mundane astrology in analysing nature most strange happenings. This organization was shaped, with plain but sincere desire for everyone to live in wholeness, purity and highest level of consciousness. Our sole idea is wholesome and purest conscious living for everybody. GCTR is a body; which comprises of people who are researching in the field of divine and art forms. This includes Astrology, Palmistry, Spirituality, Travelogues, Yoga, Ayurveda, Vedic Numerology, Sthapatya, and other Art forms etc. It is private body, but memberships are open. Anybody who has niche in such areas is most welcome in our family. There is no entry fee for the same. The only requirement is that you should have a sound knowledge of the subject. 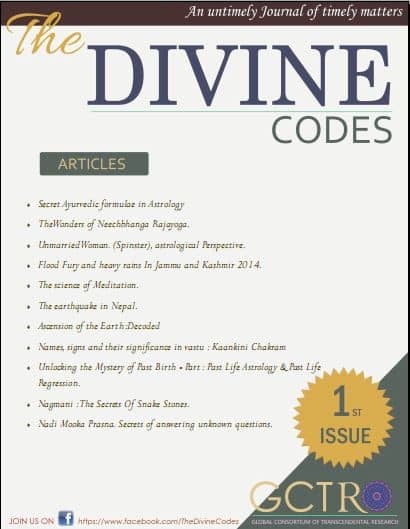 “ THE DIVINE CODES ” magazine is a publication of our body and our members can contribute their articles and research for the same. It will be published regularly and it will remain free forever. Each article from its contributing members will also carry a photo and bio of the respective author. The authors will also get exposure through three websites, social media, and publishing archives.We welcome you to a voyage for love and peace. * Note :This magazine is free for everybody and can also be read in following formats.